Sometimes the idea of cooking fish, especially for a group of guests, can be intimidating. There's the fear of the fish not cooking right, or sticking to the pan or grill. And even if you cook it right and the fish doesn't stick, you're left with the inevitable fishy-smelling cleanup. Not fun! 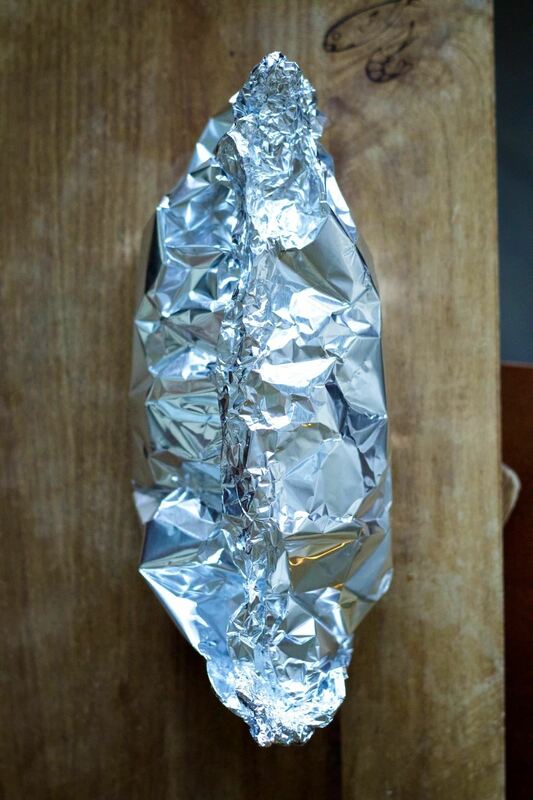 That's why this foil trick has long been our favorite. It's foolproof in preparation and makes for a super simple sea-creature cleanup. In addition, it packs a ton of flavor into the fish and makes it tender and flaky, so let's get to it! In a small bowl, prepare or pour in your marinade. 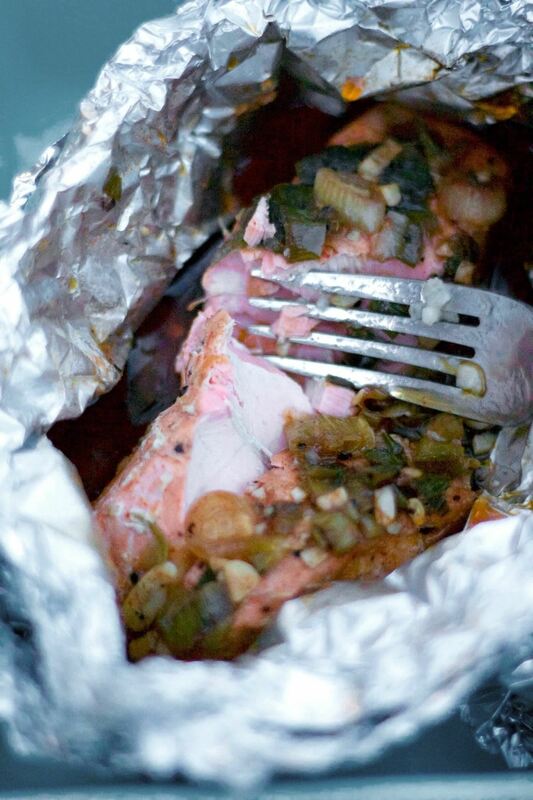 Place a piece of foil on a baking sheet, and lay the fish down. Spoon your marinade mixture on top. 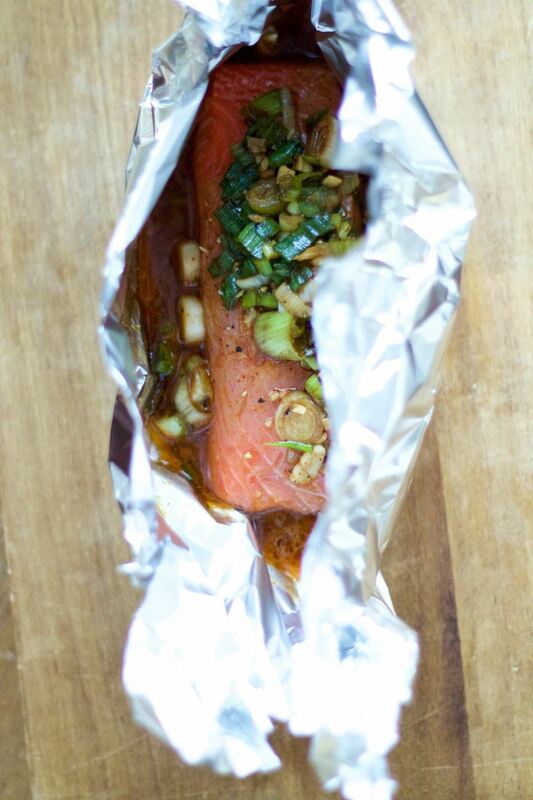 Bring up all four sides of the foil to create a packet around your fish and marinade. Pinch each of the four edges, then bring them together to fold and seal the packet closed. For the cod, we added a few fresh basil leaves to give it a fresh, herbaceous flavor. You could also use a few dollops of pesto instead of the leaves and olive oil. Make sure to crimp the edges fairly tightly as this will create a closed environment in which your fish can cook thoroughly. Plus, you don't want any of the marinade or succulent fish juice leaking out and catching your grill on fire or sticking to your baking sheet. 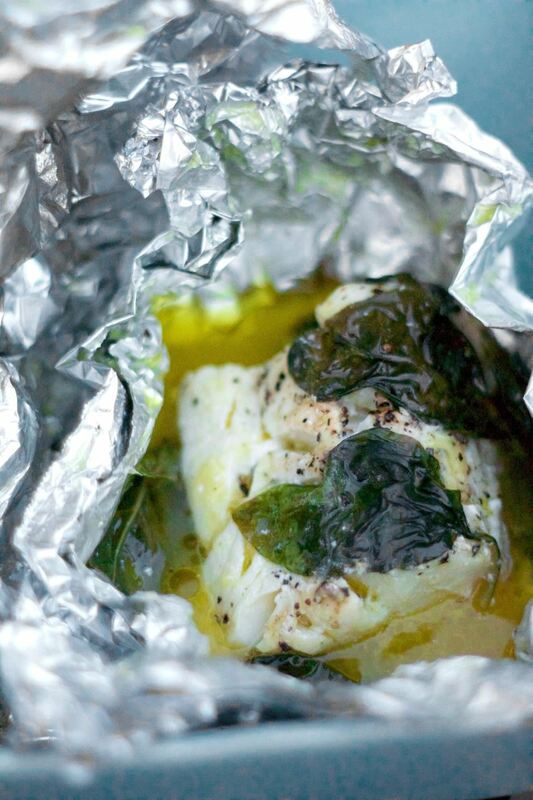 If you're baking your fish, place your foil packet into a 375°F oven atop your baking sheet. Bake until the fish is cooked through, about 15 to 20 minutes, depending upon the type and size of fish. If you're throwing it on the barbecue, as we did, place the foil packet directly on the barbecue over medium heat. You won't need to flip it or even move it. Just sit back and relax for 15 to 20 minutes while your fish becomes flaky and fork-tender. The fish will not only cook to perfection in its little foil pack, it will also be thoroughly infused with the flavors of the delicious marinade and herbs that it cooked with. Oh... You Can Use Parchment, Too! We wouldn't be fooling anyone if we told you that foil is the only way to achieve this sort of tasty, easy, fishy bliss. Parchment paper works wonders, too! 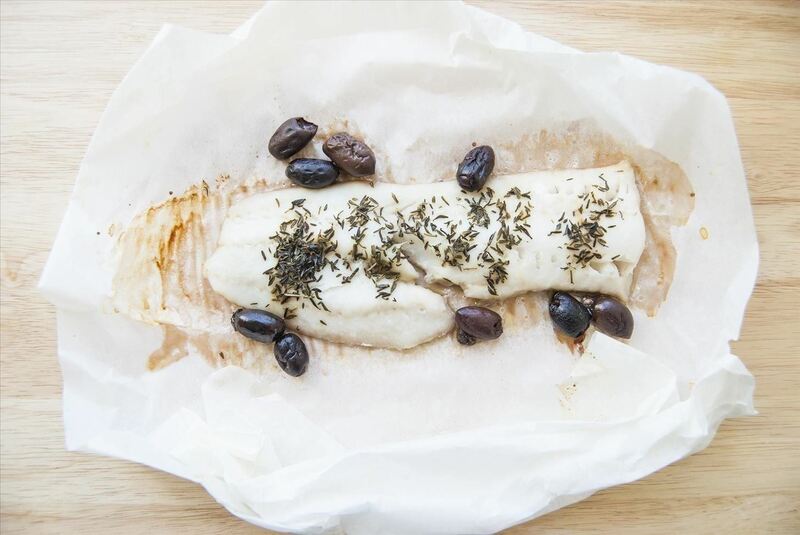 For more info, check out Julia's cooking with parchment paper guide (we're particularly fond of the cod preparation, of course). Obviously, parchment paper isn't as easy to seal shut as foil is, but with a little practice, you can practically become an origami master in your skills of folding and crimping the edges of a parchment packet. 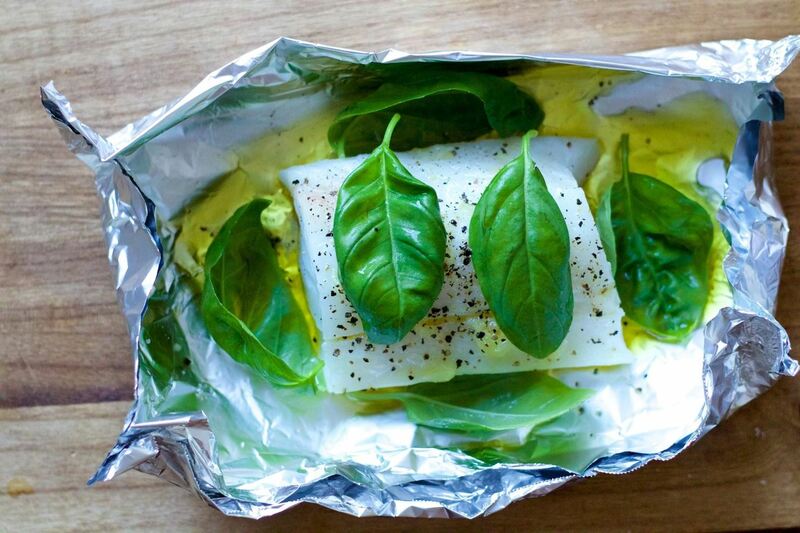 This foil (or parchment) method is our fish go-to in the kitchen. It doesn't take much planning or time, and cooking is easy and stress-free. It makes for a sublime tasting fish dish and a ridiculously carefree cleanup. 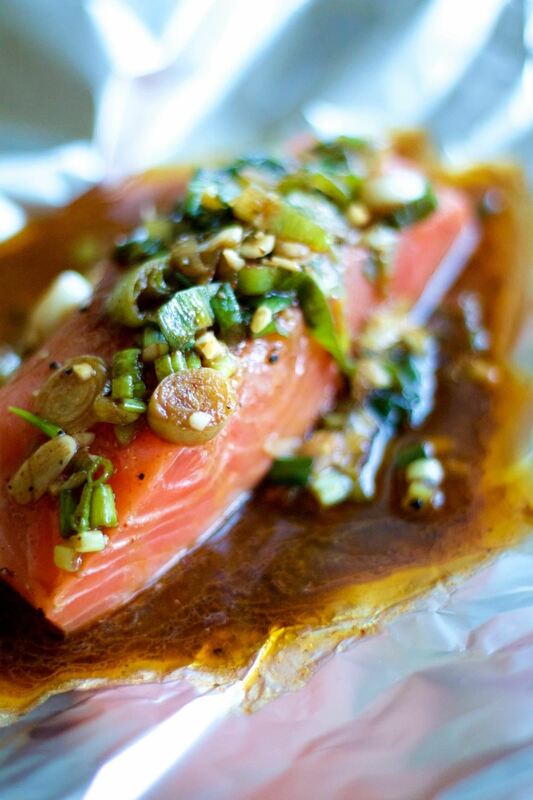 Do you bake your fish in foil or parchment paper? If so, are there any special tricks you'd like to share? Let us know in the comments below.